Anchoring the Infinite Energy Forum is the 50,000 square foot exhibit hall. 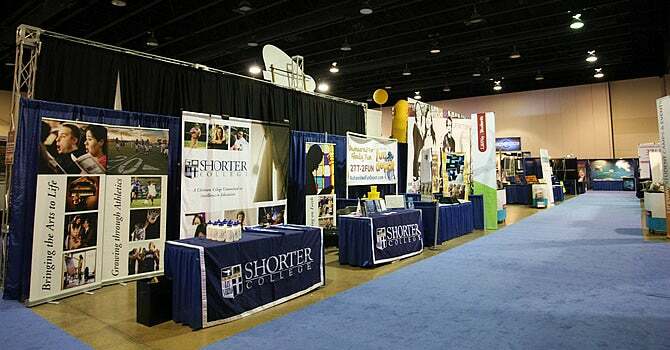 The exhibit hall is host to trade shows, conventions, concerts and sporting events. The Infinite Energy Forum also has twenty-three (23) versatile meeting rooms that can be configured for events from 2 – 1,000 attendees. Finally, the elegant Thomas P. "Tommy" Hughes Grand Ballroom provides additional exhibit and break out space. It can fit 1,000 people in a banquet setting or a major trade show are equally comfortable in the Grand Ballroom. If you are participating in a trade show or consumer show, Infinite Energy Forum offers a range of services including: power, telecommunication and audio-visual services. Our professional, experienced staff will ensure to accommodate all your needs. Whether you need an extension cord or a last minute internet connection, we will make it happen.